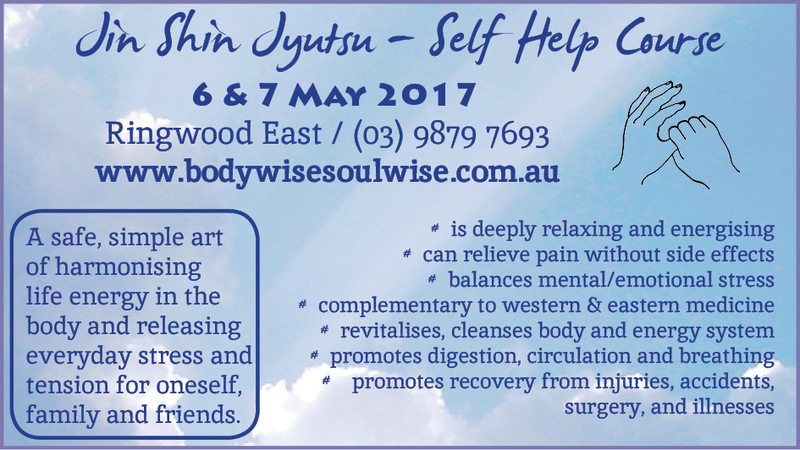 The next introductory Jin Shin Jyutsu 2-day self help class will be on 6th and 7th of May 2017. 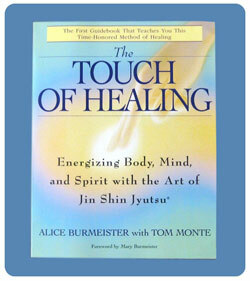 This informative and practical Jin Shin Jyutsu self-help course is structured as a 3-day course and is based on the text – “The Touch of Healing” by Alice Burmeister – and on Mary Burmeister’s original self help books (1-3). The first 2 days function as a complete unit – part 1 – and cover all of Mary Burmeister’s original self help material, and most of The Touch of Healing. This part of the course can be attended as a full 2 days, or as single days – even as half days – but it must be stated that each section follows on from the previous ones, so the given sequence is highly recommended. The 3rd day covers the additional chapter in “The Touch of Healing” – on the 12 organ function energies, and is a separate unit – part 2 – which assumes familiarity with the material covered in the first two days. (limited number of places available). 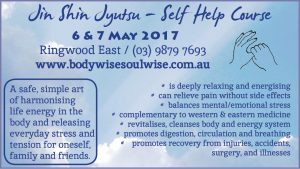 Booking is essential – to book please contact (03) 9879 7693 or email me. Morning tea provided. BYO lunch. Please come in loose, comfortable clothing and bring a yoga mat if you have one, a pillow and a rug—and paper, pen and coloured pencils. Click here to download printable course leaflet. Be the awareness or understanding of myself until I become my own physician.